With all the obstacles standing in Link’s way in Legend of Zelda: Ocarina of Time 3D, he can use all the advantages he can get. 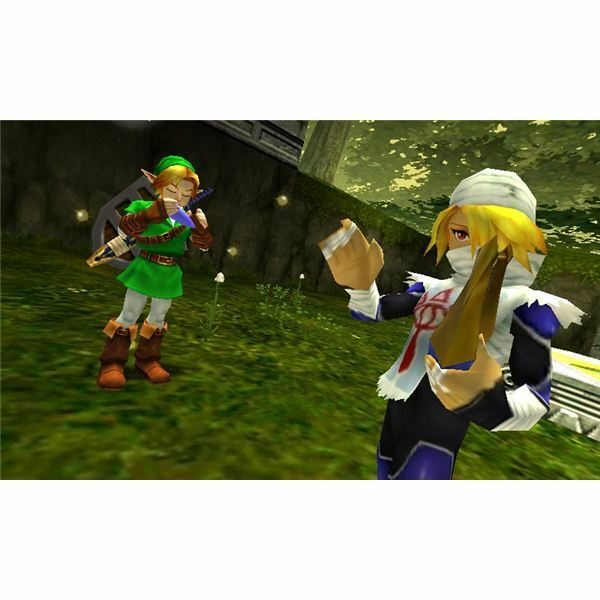 Power ups like reduced damage, additional magic spells, an increase to the magic meter, and extra combat moves can go a long way toward keeping Link alive as he fights his way through the various temples in Hyrule. Hidden throughout Hyrule are a series of Fairy Fountains. These come in two varieties: normal and great. Normal fairy fountains contain a group of faeries that Link can trap inside a bottle. These regular faeries will emerge from the bottle and revive Link when he falls in battle. These faeries are a great advantage, but the truly unique bonuses come from the Great Fairy Fountains. These fountains contain very special faeries that grant link unique bonuses. Our complete guide to Fairy Fountains in Ocarina of Time 3D has all locations of both types. Find them all below. The normal fairy fountains found throughout Hyrule are a great place for Link to replenish his life and pick up a fairy or two to take with him for emergencies. The first fairy fountain is found in Hyrule Field, in the Northwest corner of the map. Cross the small stream here and find a single bombable boulder. Destroy it, and hop into the resulting hole to pick up a few faeries. The second regular fairy fountain is in the Kakariko Village Graveyard. In the first row of tombstones you’ll see that one is marked with plants (the same grave where you should have picked up a Hylian Shield as Young Link). Pull it back and drop down, then bomb the wall inside to find the fountain. The third fountain is in the Sacred Forest Meadow just outside the Forest Temple. Once you’ve gotten through the meadow and just before you climb the steps to the temple, look behind you. You’ll find a ladder. Climb it, bomb the boulder you see and drop down into the fountain. Fountain number four is found in Zora’s River, and it can be a bit difficult to find. As you head downstream from the entrance to Zora’s Domain, you’ll come to a point where the river splits at the bottom of a waterfall. If you follow the stream that continues in a straight line from the waterfall, you’ll see a small landing off to the right, climb onto the landing and you’ll find a ladder. Climb the ladder, bomb the boulder you find atop it, and jump down into the fountain. The fifth fountain is in Zora’s Domain itself. Find the trapezoidal island at the bottom of the Domain and play the Song of Storms to open a hidden hole. Hop into the hole to pick up some faeries. The final normal fairy fountain is in Gerudo Fortress. Once you are taken captive, look for the line of four crates on the ground near the entrance. Play the song of storms nearby to open up the entrance. There are two fountains that can only be reached by Young Link, so make sure you grab them both before you head into the Temple of Time to obtain the Master Sword. Princess Zelda. Return to the path, avoid the guards, then bomb the wall and enter. Inside you’ll receive Din’s Fire, a magic spell that does fire damage over an area surrounding Link. The second fountain is inside Zora’s Domain. 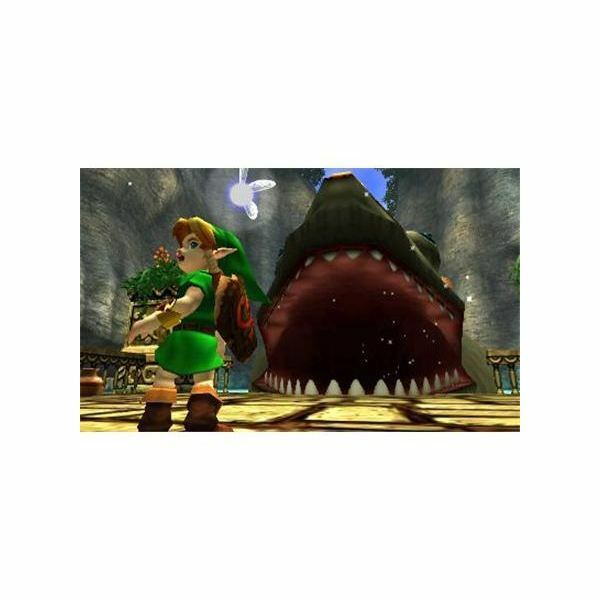 As Young Link, return to where you first met (and entered) Jabu-Jabu and look for a narrow peninsula with a single tree across the lake behind him. Swim over, bomb the wall, and enter the Great Fairy Fountain. Inside, you’ll receive the Farore’s Wind magic spell, allowing you to return to a specified point within a dungeon. Normal fountains are great for replenishing your life energy, but if you truly want to get a leg up in your quest to save Hyrule, you’re going to want to visit the great fairy fountains. These fountains contain great faeries that grant Link unique bonuses. The third great fountain is found at Death Mountain Peak. To get to it, you’ll need both the Hylian Shield and bombs. This fountain can be reached by either Young or Adult Link. You’ll need to bomb some rocks atop a hill just to the right of the entrance to Goron City, then climb up the mountain, stopping to cover yourself with your shield when fire and lava begin to rain upon you. Atop the peak is a wall that can be bombed. Do so, and enter to learn the spin attack. 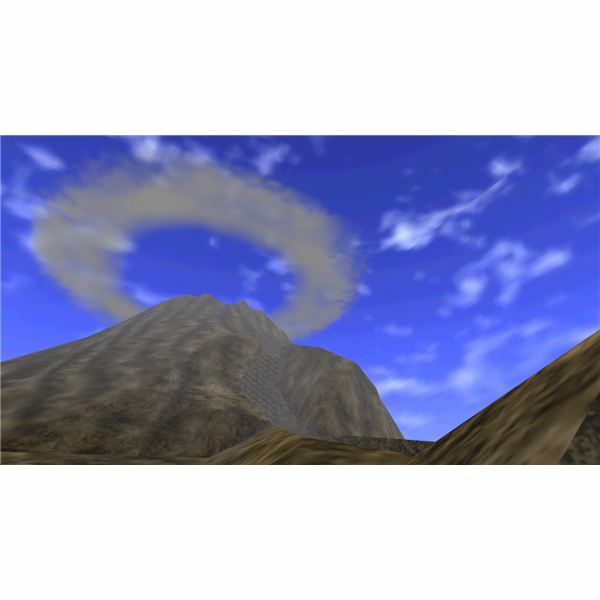 The fourth great fountain is located inside the Death Mountain Crater and can only be reached by Adult Link. To get there, enter the crater through Darunia’s throne room, then take the immediate right and cross the bridge. You’ll see two enormous boulders that can only be shattered with the Megaton Hammer. Shatter them and head inside to receive an increase in your magic meter’s capacity. Near the entrance to the Spirit Temple is where you’ll find the fifth great fountain. As Adult Link, look up at the Desert Colossus, then turn to the right and look for a pair of palm trees. Between them, you’ll find a bombable piece of rock wall. Drop a bomb, enter the fountain, and receive the Nayru’s Love spell, which creates a protective barrier around Link when cast. Finally, the sixth great fountain is found just outside Ganon’s Castle. Only Adult Link can reach this fountain. Once you’ve received the Golden Gauntlets from inside the castle, head back outside and find a massive black pillar near the location of the third fountain. Lift the pillar, drop into the fountain, and receive a 50% reduction to the damage that Link receives, which is a welcome bonus as you fight the game's final boss. These great fairy fountains provide useful bonuses that cannot be acquired through other means. Don't neglect them as you make your way through Link's quest, as they can mean the difference between victory and defeat. For more great Legend of Zelda: Ocarina of Time 3D tips and tricks check out our guides to collecting all the bottles and guide to getting Epona the horse. 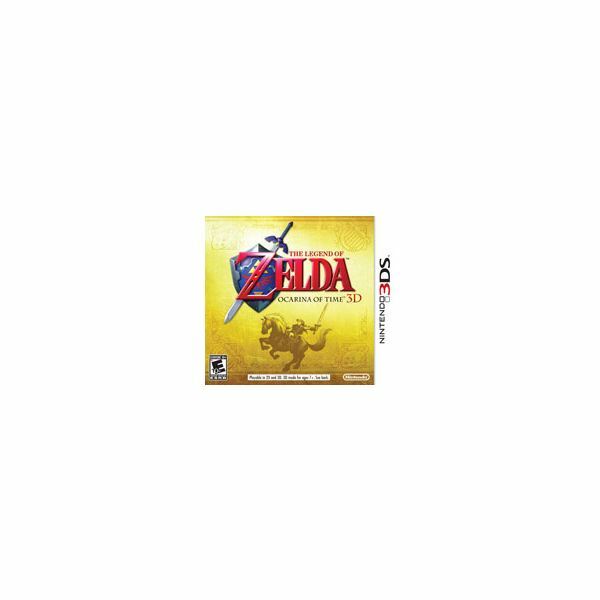 All references and screenshots from Legend of Zelda: Ocarina of Time 3D.